Multi spiral opaque twist sweetmeat glass. 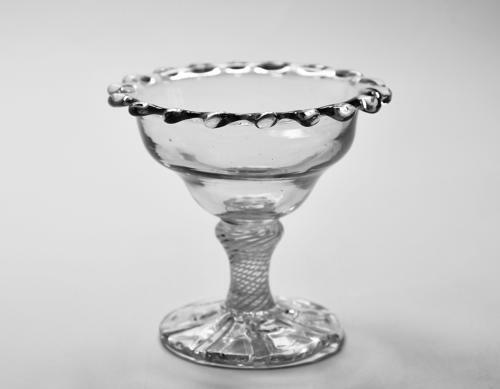 The double ogee bowl with dentated rim or 'dog's tooth border on a radially grooved solid foot. English C1765.